What a awesome summer it’s been so far! Had great weather here in Toronto, great opportunities despite some slower than usual weeks…but don’t get me wrong, lots has happened since I last wrote! Here’s a short summary of what’s been going on in my career in the last couple of months. In June, I did mostly corporate work, a bit of catalogue stuff AND a motorcycle course! That course ended with a test which I passed and now have an upgraded driver’s license to include motorcycles! Looking forward to using this new skill in some sort of acting work! During the month of July, I had some great opportunities and came very close to getting a US/Canada national TV commercial. It’s okay though, because I had an audition for another big national, potentially worldwide commercial which I ended up getting! Will write about it once it’s been shot. I also just shot a corporate, short film style training video which went great. Got to work with a great team which I shot with about a year ago. 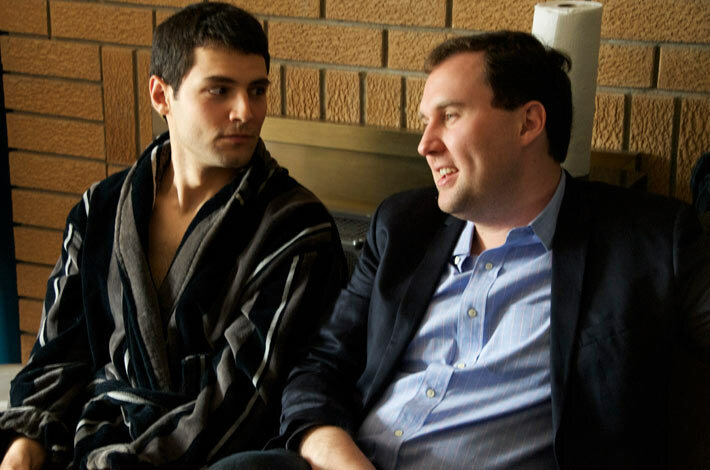 Not to mention Jon Welch, an actor/friend who I’ve worked with a few times back when I lived in the Ottawa/Gatineau area, had some scenes with me as we played co-workers! Finally, there are some more scenes to be shot for the TV Pilot “Lost in Beijing” starring myself and Daniel Lavigne, another fellow actor/friend from Ottawa. The exciting part is that we’ll be going to China to do it! More to come on all this, but for now…a couple of Harlequin books! Above are the covers for Protecting the Pregnant Witness by Julie Miller and Marriage at the Cowboy’s Command by Ann Major. Click them to see a larger image! Yeah, I know…it’s been a month since the last time I wrote anything. I didn’t even talk about my last two days on set of “Clean Break” either… Well, time to catch up! The last few days were great, just like the rest of the time I had on set. The only exception is that it all came to an end. Had days from 12 to 15 hours, shorter if I was only be needed for part of a day, for two and a half weeks with weekends off. That’s a lot of time to spend with the same core group of people. So on our final day, we all said our goodbyes, or rather see you later, had kind of a group huddle where a few speeches were made and cake was served. I volunteered to cut the cake after the first stroke was made by the director and female lead actor. It was bittersweet as a lot of us grew fond of working together, while we all felt like we accomplished something great. A few of us even gathered around a computer as we looked at a few stills… Let me tell you they looked amazing! Really look forward to seeing this edited and all put together. I really think it’ll turn out to be a great film, especially for an independent production. Since we finished, I had a bit of a break followed by a few of jobs here and there. Mostly corporate stuff…and today, you guessed it, another Harlequin book cover! The one you see here is actually something that was shot back in February. 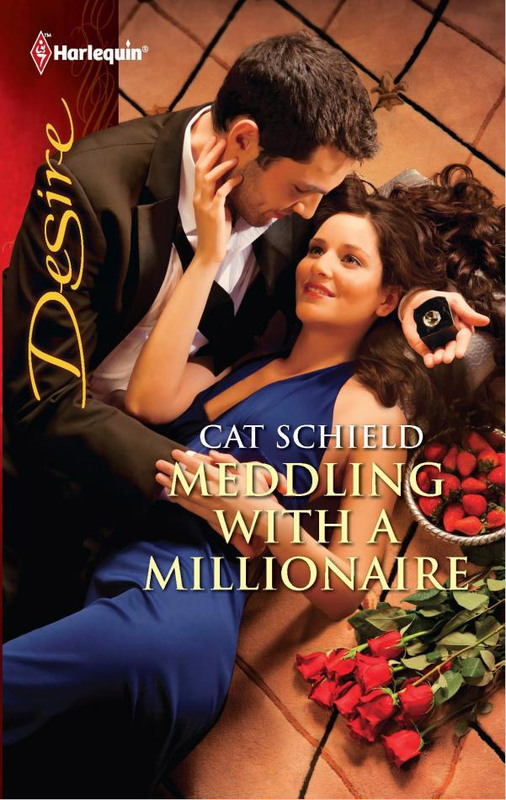 This is Meddling with a Millionaire by Cat Schield. It was my first time working with photographer Michael Alberstat and his team; went very smoothly! I can’t find the words to describe how I felt about the end of this week. I think it’s safe to say that on Friday, we shot the most intense scene of my acting career. I brought something I was never asked or expected to bring before and surprised myself, along with other cast/crew members. It was one emotionally charged scene which followed a lot of physical pain caused to my character; you could call it a physical and emotional breakdown. Honestly, the end of this film will probably be what makes it…how it all comes together. The way it was written, shot and directed is a gift. It’s a big part of why I was able to do what I did. That, and a great co-star to work along with. She brought it on every take and I can’t imagine anyone else having played that character. For me to go into details I’d not only give away part of the film, I’d also end up writing pages. It’s one of those days where you wish you could share with everyone. You wish that they were there to experience it with you. But when I think about it, I did share it with a lot of people. Amazing cast and crew members who I’ve gotten to know and befriended over the past two weeks. I’m so grateful for having them involved. As for the rest of the week, it was also great, but that last day just eclipses the whole week. Again, long days, not a lot of time to sleep in between…but the experience is well worth it. Being a part of this film and the people involved further validates my choice to change careers and start acting…all this happening about six years ago. The journey has been incredible, and look forward to future experiences without neglecting to enjoy the ride. It definitely isn’t for everyone, requires a lot of sacrifices and is something completely different than anything else, but as of now, I’m happy and thankful to be doing this. I’ve put up a few pictures of stills/behind the scenes shots from set which you can check out here. A week after my last update, I had an audition for a feature film called “The Roommate”. There were two scenes to read for, and one was quite intense. I was really looking forward to see how I’d do, never really been requested to do something at that level (at least not that I can remember). As I prepared and rehearsed it, I never went full out, wanting to save it for the actual audition. Well, let’s just say I came out of that audition really satisfied with what I did. I was so happy that it wasn’t about getting the role, but more about having done that audition. To me, I had already gotten something amazing out of it. Well the next day, I got a call from one of the producers offering the lead male role! After a few calls, discussing all the details, I was officially on board. Right away we started by getting the principle actors, director, writer and producers together to do a read through of the script, making some small changes with everyone’s feedback. It was great having that flexibility in with the writer and director. After this meeting, we did a few rehearsals, meetings to further discuss the character and script, etc. The name was eventually changed to “Clean Break” and finally on the 18th of April, we started our first day of shooting. We’ve now completed our first week of filming and I have to say it’s been a great experience. Despite being an independent film set, everyone’s a pro! We got a full crew and they’re awesome, the cast all know what they’re doing; things are going really well. Whenever we run into speed bumps, we work together and smooth things out. We’re shooting a lot of pages per day, which means little room for many takes but also means working efficiently with everyone being on the ball and well prepared. The director is both focused and flexible, not to mention so easy to work and get along with, while the producers are on set everyday in their makeshift office; the team is outstanding. Did I mention how much fun we’re having? Yes it’s work, yes we’re shooting full time (every weekday until completion, 12+ hour days), yes there isn’t always time for sleep, yes I still work off set to prepare for the next days and yes I love doing this! There’s something special about so many people working together, meeting those people and getting to know them a little better every day. All this to say I look forward to the next week! Well, at least so far! This year, I’ve averaged more than a cover a month, just having shot the 4th of 2011 yesterday, now making it 9 books under my belt. Just like every book this year, it was shot by photographer Robert Goshgarian who is always a pleasure to work with. You gotta also give credit to his team and the art directors for making it a great experience. Speaking of, one of the covers I did with them has just been released! Check out cover number 5 called AK-Cowboy written by Joanna Wayne. UPDATE: Check out the interview/behind the scenes web video with the Executive Producer on Assault and Rescue’s video page, which also includes footage from the show. You’ll see clips of me when they talk about the actors. Back in May, I was involved in the pilot episode of a new show that was going to be called Assault and Rescue POV (which you can read about here). What I liked about the idea is all the reenactments parts in this docudrama are all from a 1st person perspective. As in, every shot is really from the eyes of one of the characters. The best part of this is during the action sequences, where you’ll see everything including guns being fired from the point of view of these different people, almost a 1st person shooter video game. Well, I’m not sure if it’ll be a whole series anymore, but they are airing the episode we shot! 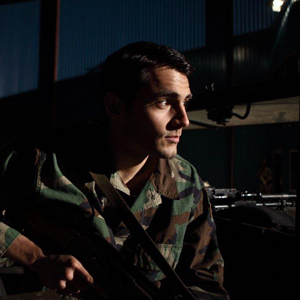 In it I play Amnon Pelled, and actually take down a few people with an AK-47. Now, will you see it from “my” perspective, or from the point of view of another commando on my team, I don’t know, but I certainly look forward to seeing it! Discovery Channel is airing it on Sunday January 30th, at 8:00pm Eastern. Check out the press release and/or Frantic Film’s Assault and Rescue page for more info! You’ll notice on the 2nd link, they used a picture of me on their page (which I in turn used here)! Operation Thunderball is also referred to as Operation Thunderbolt and Operation Entebbe. Feel free to read about it on the Wikipedia page! 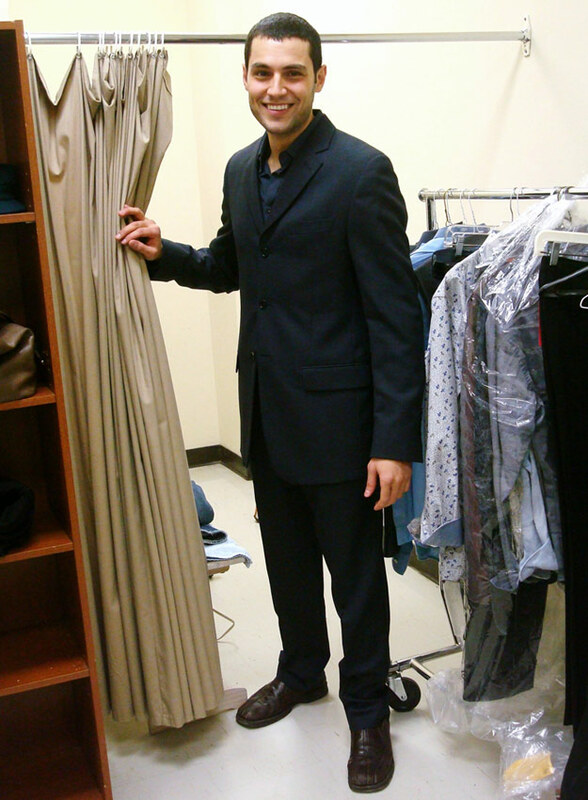 Last weekend, I had my first acting job of the year, which I had booked from my first audition of the year. Not a bad start I would say! And what was this job? Well a TV commercial/promo for a new show called “Endgame”! I’m not sure when they will be airing the promo, but the show itself will air in Spring 2011, and will be featured on Showcase. It’s about a master chess player who uses his skills to solve crimes; all from the inside of his hotel room. I had to play a few roles in this video, while you’d probably only recognize me in one of them. You’ll clearly see my face in the part where I walk aggressively towards a girl, yelling (although you won’t hear it) dressed in the business suit seen in the picture. In another shot, you’ll see me from the back, dressed all in black, about to steal a painting off the wall. And finally, my feet make an appearance, next to a dead body and a gun. That’s right, now you have the inside info that my feet were in those pair of shoes! But in all seriousness, I had a great time with great people! I love “working”! On my way back from the holidays, I got a call offering me another Harlequin book cover shoot! Well, it just happened yesterday and it went great as usual. Once again, I worked with Robert Goshgarian and his team. It was good to see them all again. Now I’m up to 6 covers! Well, I can’t just talk about a new cover without showing you one of the books that has been recently released! That’s right, my 4th one is out and is called Caught Off Guard by Kira Sinclair, which is displayed on the left.